Sharing files in China is problematic. Businesses of all shapes and sizes find it tough to send important data to and from Chinese locations. Unlike most other countries, the Chinese government control the way that their citizens can use the internet. Words such as ‘dictatorship’, ‘Red terror’ or ‘Tiananmen Square massacre’ are banned. Many Western sites such as Google, Facebook and the BBC are blocked outright and any information that’s deemed to be threatening is removed from websites. 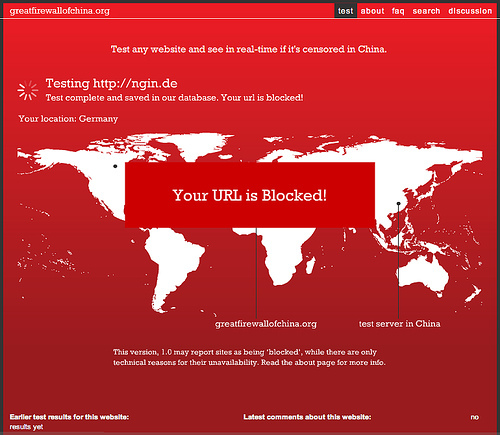 What’s more, it also prevents Chinese websites from being accessed outside of The People’s Republic. Not only does this cause problems for the Chinese population, but it also makes it hard for businesses to share data to and from China. Thanks to the Great Firewall, something so simple as sending work information from one Gmail account to another simply isn’t possible. Read more: What is the Great Cannon of China? How Does it Affect You? The government’s censorship means that Dropbox, the popular consumer file sharing platform, isn’t accessible in the communist state. Dropbox hasn’t always been blocked in China – the provider recently managed to circumvent Chinese censorship and enjoyed a presence in China until late June 2014. However, its one-off relationship with the Chinese authorities means that even if customers can use it to share files on occasion, it’s not a long-term, reliable solution for businesses who need to transfer essential files in and out of China. Despite being the world’s second-largest economy – and tipped to be first in a matter of years – China lags behind countless countries when it comes to internet speeds. Although steps have been put in place by the government to improve its servers’ service, the country’s average web speed of 2.9 mbps in Q3 2013 is still below the international average of 3.6 according to Akamai. That’s more than 5 times slower than the fastest country South Korea and three times slower than the United States. This makes transferring data over conventional web-based platforms problematic – particularly away from China’s major cities where speeds are especially sluggish. The speed may not be completely prohibitive to businesses, but there’s no doubt that it hampers efficiency. Hand in hand with slow internet speeds is the unreliable nature of the Chinese web. Sharing files over the mainstream internet is frequently frustrating. The Chinese government’s control of its internet means that businesses can’t enjoy the same freedoms and features that they take for granted in so many other countries. It also affects the reliability of the service; as files have to be approved, sessions are frequently delayed or broken as they pass through the ‘international gateway’. China has issues when it comes to keeping data safe. Although it has recently introduced a spate of data protection regulations to enhance online security, there are still significant concerns. According to a report by Cisco Systems, China has the highest rate of corporate computer misuse in the world. With so much information being processed by government sources, it stands to reason that business information might not be as safe on Chinese internet service providers as it would in other countries. Looking for a safe way to send, receive and share files in China? FTP-Stream by Maytech is a China file sharing framework that allows you to circumvent state internet when sending files to and from China using an FTP platform. No slow speeds, unreliable infrastructures or unsafe frameworks – just super fast sharing that allows your business to be as productive as possible. Find out more about how Maytech helps businesses working in and with China.